Traffic info: road works on the boulevard Eugène Pottier (near the airport) currently take place until Monday April 22th. A deviation is put in place, more info here. We invite our passengers to allow for access time accordingly if they have to go to the airport. 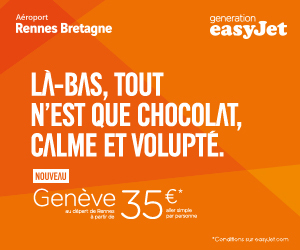 We invite our passengers to use public transport to reach Rennes Airport because car parks are crowded. 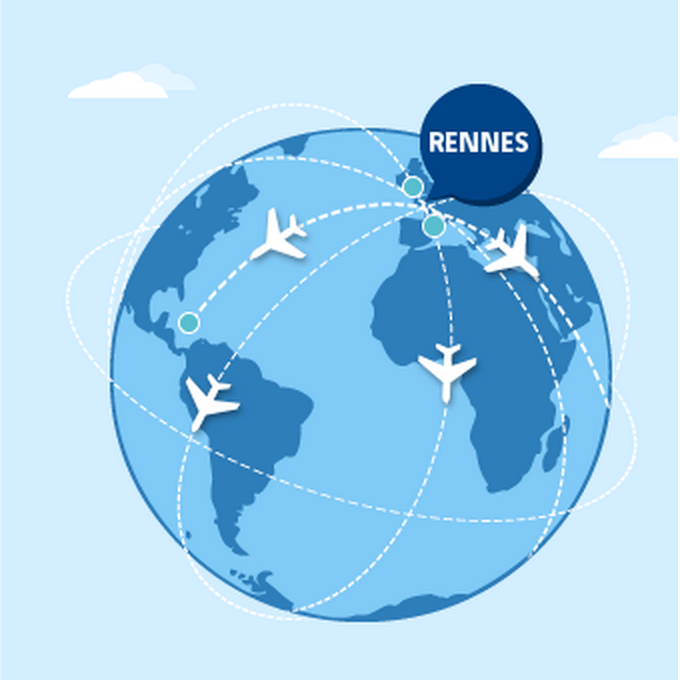 From Rennes, fly to many destinations by direct flights. Price vat from, one way flight, excluding service fees, subject to change, subject to conditions and availability. Vibrant city with a rich historical and cultural heritage, Rennes is an excellent gateway to discover the region gems.